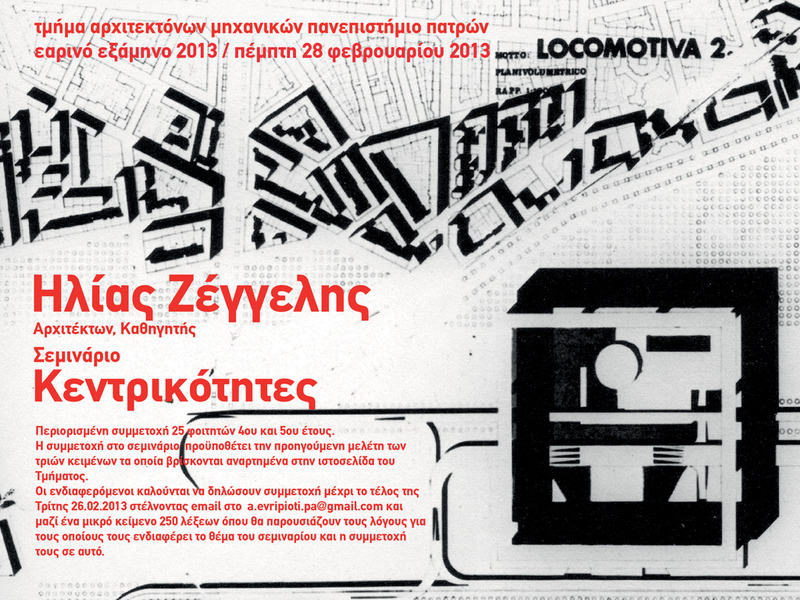 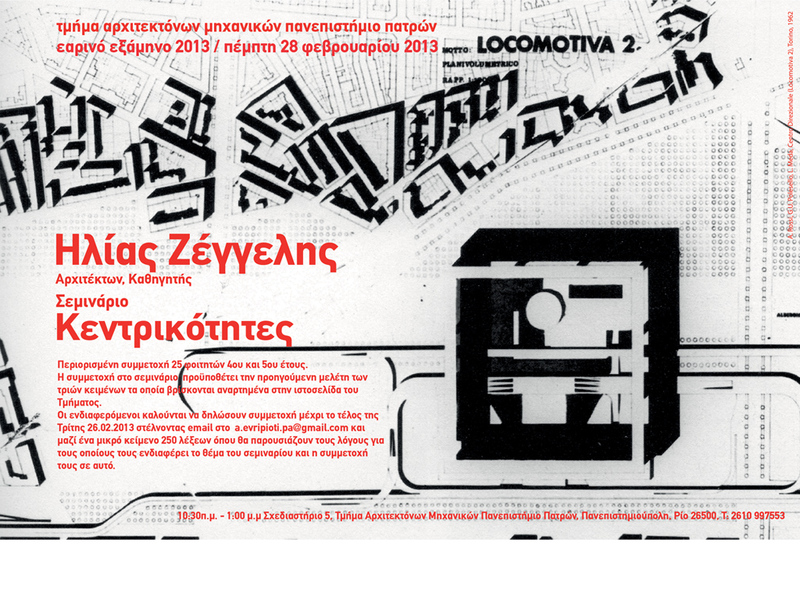 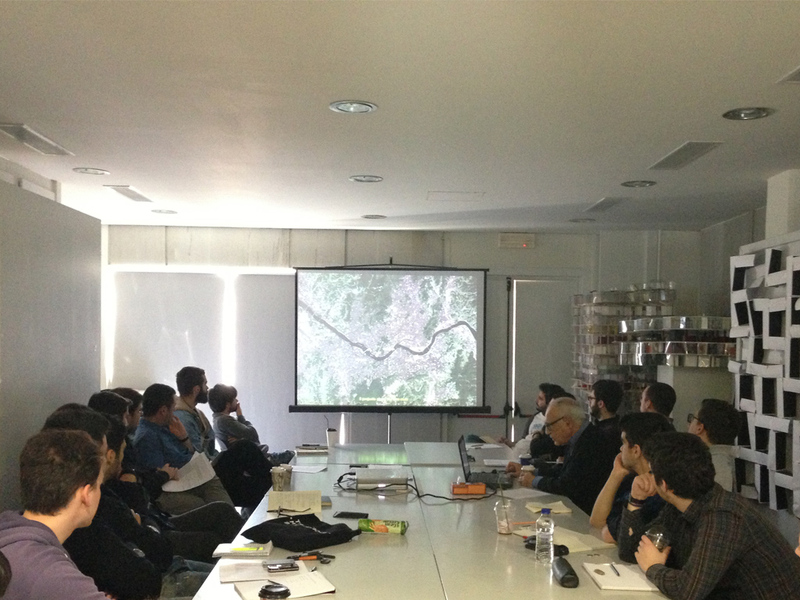 ELIA ZENGHELIS / SEMINAR: "CENTRALITIES"
Limited 25 participating students of 4th and 5th year. 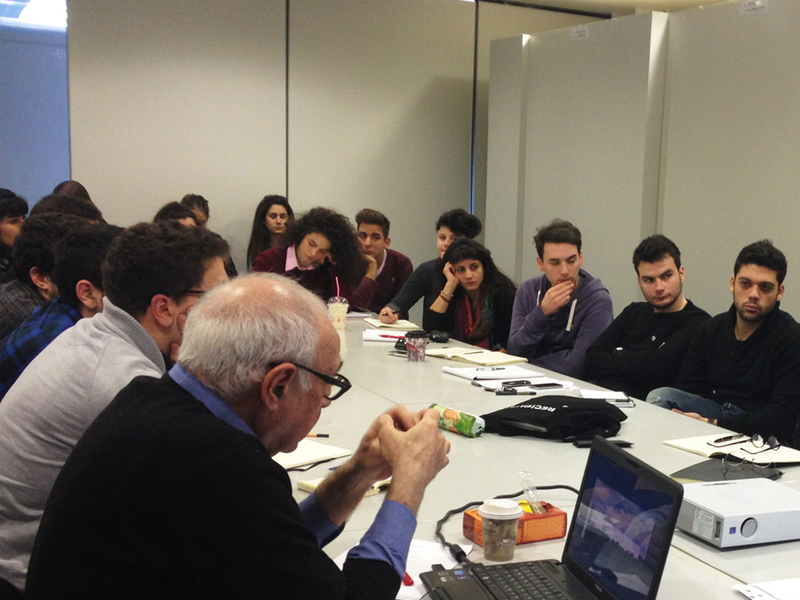 Participation in the seminar requires the prior study of three texts which are posted on the Department's website . 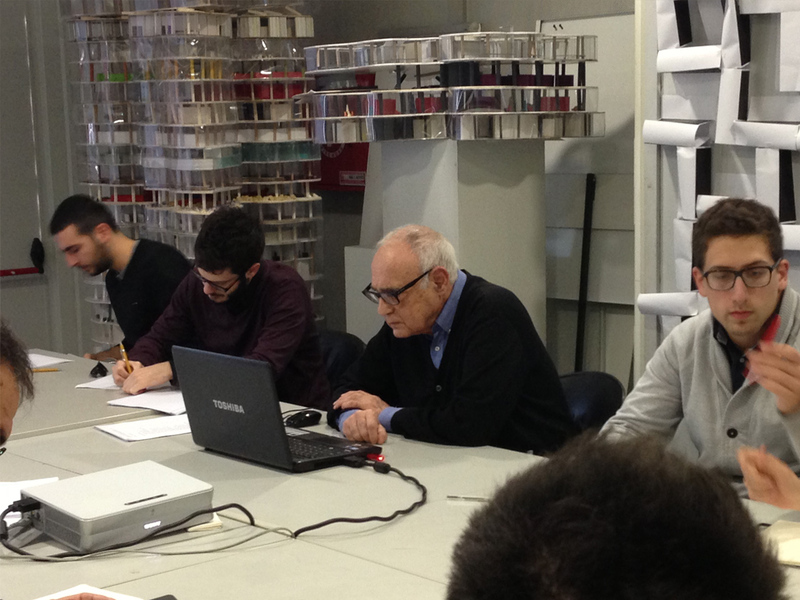 Stakeholders are invited to register by the end of Tuesday 2/26/2013 sending email to a.evripioti.pa @ gmail.com and along a small text 250 words setting out the reasons why they are interested in the topic of the seminar and participation at this .